The Tempus Fury Special Edition roars with style. Designed and developed alongside the Tempus Fury custom bike, this watch shares the same characteristic DNA. From the design features, the colour scheme and the choice of straps, this Special Edition matches its two wheeled brother and appeals to anyone who appreciates a bold statement. Explore more here. 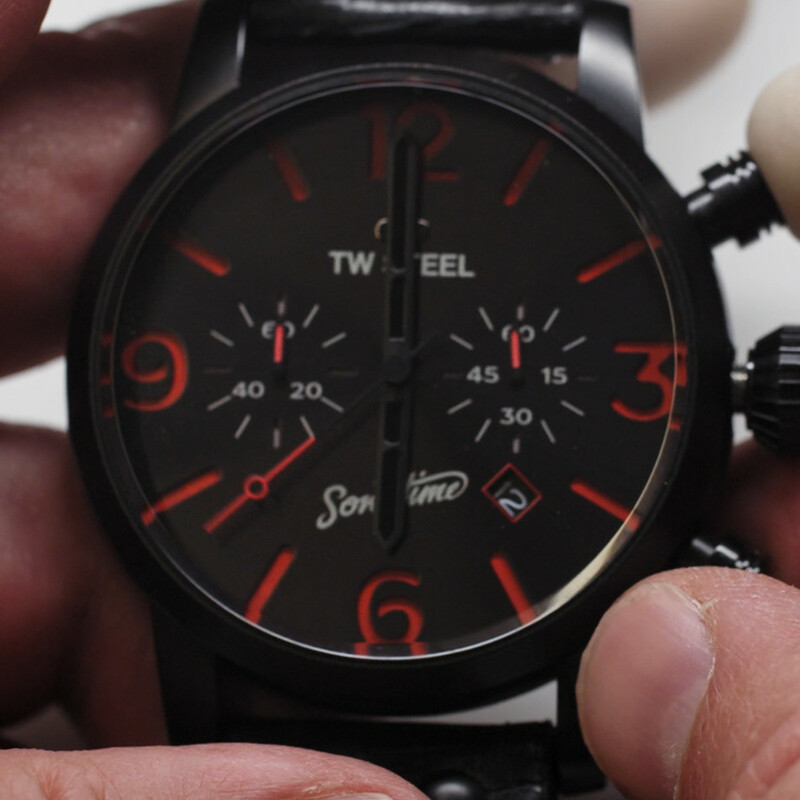 This Special Edition, the MST14, comes in a 48mm 316L steel case, sandblasted with PVD black coating. Powered by a 6S21 chronograph movement from Miyota, this special timepiece features a screwed crown, hardened mineral crystal with sapphire coating and a double layered sandwich dial. 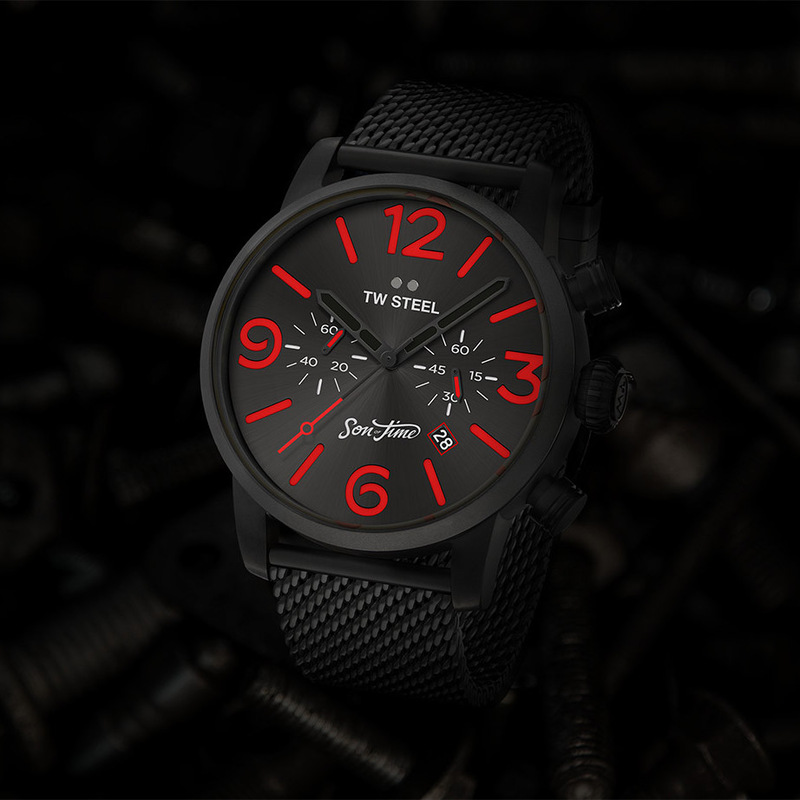 Staying true to the Son of Time look and feel, the special edition watch combines the black sandblasted case with a sunray dark grey dial including red numbers and indexes. A dark titanium Son of Time logo on the dial further connects the watch to the groundbreaking story.